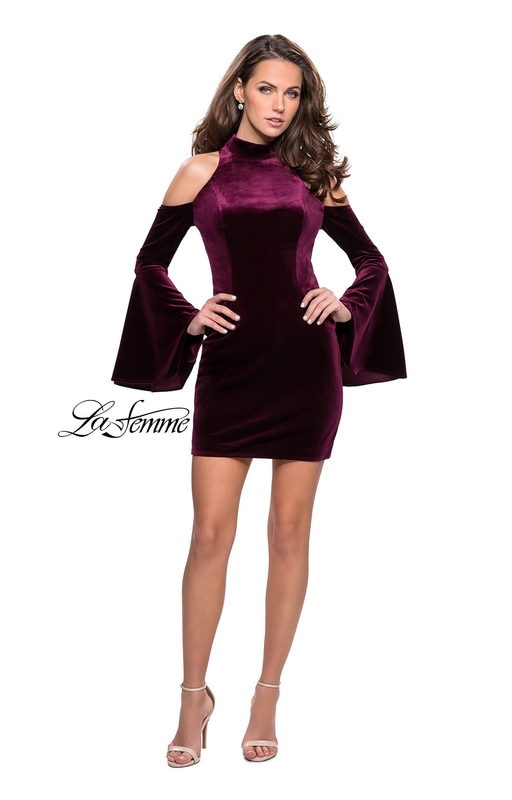 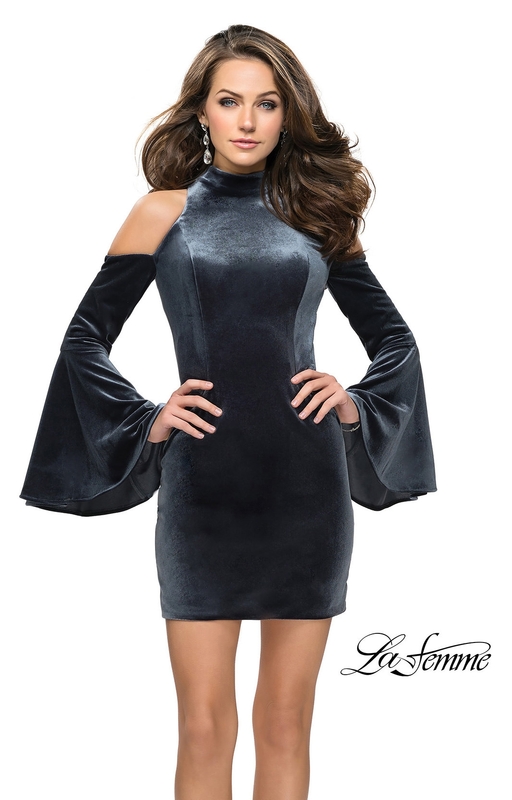 This velvet La Femme 26628 dress is simple but elegant. 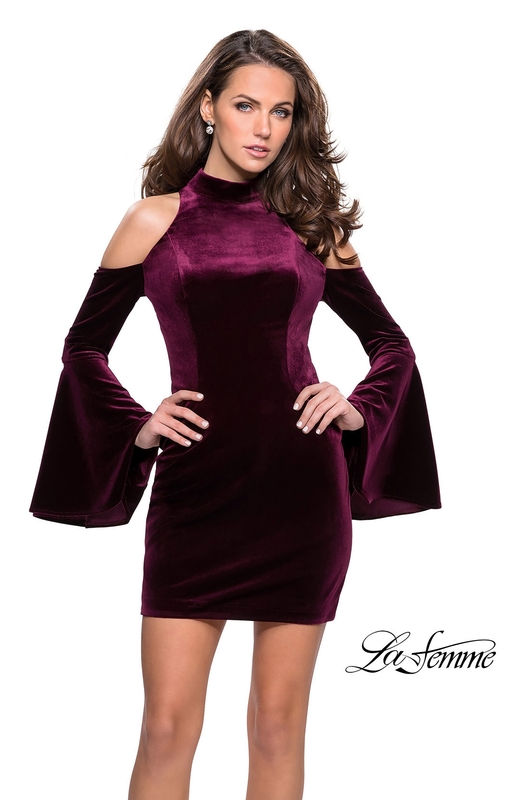 This dress is fitted with an open back. 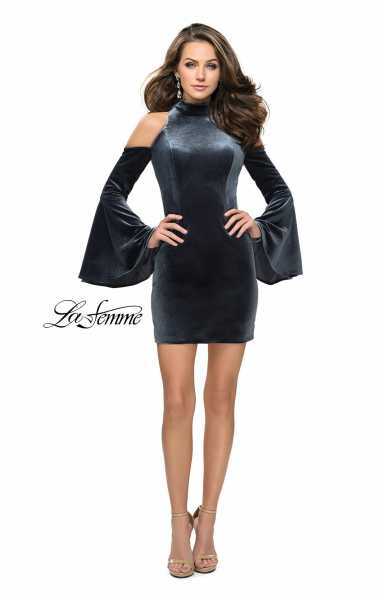 This short dress also has a high neck line with long sleeves . You can wear this dress to any event!